Achievement: Man behind the hugely successful brand, Nirma. 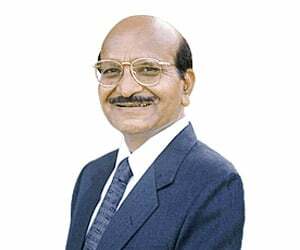 Karsanbhai Patel is the man behind the hugely successful brand, Nirma. His' is a legendary rags to riches journey during which he shattered established business theories and rewrote new ones. Karsanbhai Khodidas Patel (K.K. Patel) came from a humble farmer family from Mehsana, Gujarat. He worked as Lab Assistant in the Geology and Mining Department of the Government of Gujarat. In 1969, at the age of 25, Karsan Bhai Patel started a small-scale enterprise. He offered a quality detergent powder, using indigenous technology, at a third of the prevailing price, without compromising on the product. Karsanbhai named the detergent powder Nirma after daughter Nirupama. At that time domestic detergent market was limited only to premium segment and was dominated by MNCs. Karsanbhai Patel started door-to-door selling of Nirma and priced it at Rs. 3 per kg. The next available cheapest brand in the market at that time was Rs.13 per kg. Nirma revolutionized the whole detergent powder segment and in a short span of time created an entirely new market segment in the domestic detergent sector market. It gave the bigger established brands a run for their money and soon occupied the top market share. To add to all this, Nirma was made of an innovative formulation, which global detergent giants were later on compelled to emulate, it was phosphate free and hence environment friendly, and the process of manufacturing was labour intensive, which offered large scale employment. Karsanbhai notched up one success after another. After establishing its leadership in economy-priced detergents, Nirma foray into the premium brand segment, in cakes and detergents was equally successful. It built up a 30% market share in the premium detergent segment and achieved a greater than 20% share in the premium soaps market. Karsanbhai Patel has won many accolades on his way to success. The Federation of Association of Small Scale Industries of India, New Delhi, awarded him with the 'Udyog Ratna'. The Gujarat Chamber of Commerce felicitated him as an 'Outstanding Industrialist of the Eighties'. The Govt. of India twice appointed him Chairman of the Development Council for Oils, Soaps & Detergents.